Google+ has lost its early momentum. Is it the new Chrome, or the new Wave? Remember Google Chrome? It was a browser that Google launched in 2008. They said it’d be as well-known as Firefox and Safari and Internet Explorer and Konqueror. And it had a logo that looked like a PokÃ©ball. So given that the writing was so obviously on the wall for Chrome, it’s not surprising that hardly anyone remembers it nowadays, right? Right? …OK, time to drop this strained rhetorical device. The point, in case you haven’t guessed, is that a lot of people – me included – called time on Chrome when its brief honeymoon period ended. A couple of years later and these doubters – yes, me included – were proven wrong. 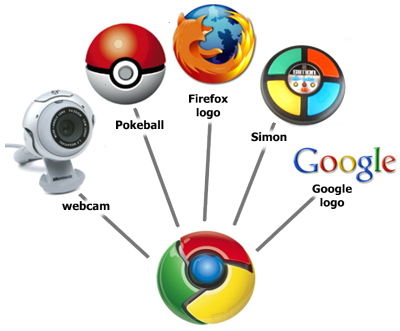 In fact, Chrome’s just overtaken Firefox as the UK’s second most popular browser. An early stumble doesn’t always mean impending doom. More recently, another new Google product has come off the starting blocks only to falter in its first few strides: Google+. Despite initial enthusiasm the buzz is dying down and traffic has dropped off from its early weeks. People are talking about “giving up” on it. Can Google+ take heart from what happened to Chrome? Or is it doomed? Let’s look at a couple of arguments either way. Let’s compare Google+ to Twitter. 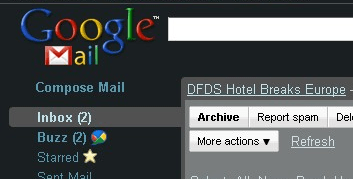 To begin, how many of you had even heard of Twitter in May 2006 when it was as old as Google+ is now? I hadn’t, and I’m a committed geek. It took Twitter ages to get even recognisably close to its current levels of popularity. Remember spring 2009, and how there was so much confusion about what Twitter was for? That was three years into Twitter’s lifespan. Google+ has only been around for three months, and already has 25 million users. Judged by Twitter’s standards, that growth rate is positively stratospheric. The same applies to Facebook – it didn’t get to half a billion users in its first three months, did it? So who cares about a minor dip in traffic? Google+ is destined for greatness. Let’s go back to the comparison between G+ and Chrome. So Chrome had an early stumble but then recovered? Fair enough. But there are differences between G+ and Chrome – big differences. Imagine you’re a Chrome user and you love it. You uninstalled IE. You uninstalled Firefox. Hell, you even uninstalled Minesweeper – Chrome is that good. Then you find out that no-one else in the world uses Chrome, no-one apart from you. Do you care? No, not at all. Your immediate experience of using Chrome is unaffected by others using it or not. But Google+, as a social product, is more exposed to network effects – if no-one you know uses Google+, it’s next to useless. If everyone you knew uses it, it is useful even if it’s a shockingly poor product (cf. Myspace). So the sophomore dip in traffic is meaningful for G+ in a way that it wasn’t for Chrome. When a social product like Google+ loses its users, it loses everything. So what’ll happen to G+? My gut instinct isn’t all that positive. I like it – there’s something a bit “old-school-internet” about my own personal experience of G+, probably because of the specific people I’ve been connecting to there. But I’ve been involved in launching and running quite a few “online communities” (remember them?) in my time and I notice some telltale signs among the people I follow. Not enough posts. Too many ghost speakers, links cast off into the void that spark no discussion, no debate. Healthy online communities need some tension, some arguments, some passion, some disagreements. Maybe that’s what Google+ needs so that it feels less like a lab and more like a space for life and all its anger and mess. So let’s post some flamebait and check back in six months to see how it’s getting on. One of LinkedIn’s strengths is its “how you’re connected” feature, which shows how you’re linked to second degree contacts. Seeing who you have in common with someone helps you understand who they are, what they’re like, and whether it’s worth getting to know them. It’s often more informative than the blurbs people write about themselves. But this LinkedIn feature is becoming less useful due to an insidious form of network pollution. Like coastal erosion, this network pollution is a slow process that’s barely noticeable from one day to the next, but could be hugely damaging in the longer term. And I think I know who’s responsible for this network pollution – recruiters. Before I continue, I should say that this isn’t an anti-recruiter rant. Recruiters may be responsible for this network pollution, but the blame lies with LinkedIn, and I’ll talk more about this later. Building a big contact list is essential to a recruiter’s job and they can’t be expected not to do this. But this is what’s weakening the value of LinkedIn’s “how you’re connected” feature, and quite possibly its network as a whole. If you’re a LinkedIn user, you’re not just a person – you’re a “node”, which is a fancy way of saying that you can connect people to one another. If one of your contacts finds another one of your contacts on LinkedIn, you will be the node that connects them. And as a connecting node, your usefulness comes from the quality of your relationships with those two individuals. If the person searching knows that you’re picky about who you connect with (which you clearly are, only highly discerning people read this blog after all), your connection to that person is itself a notable endorsement. Not every “node” on LinkedIn is as discerning and useful as you are, though. Some nodes are far more promiscuous, connecting to lots of people they’ve never met, let alone worked with, and the more promiscuous someone is the less useful they become as a LinkedIn node. This is where recruiters come in. They hoover up connections, which means that you often find your second degree contacts are connected to you through recruiters. But as connecting nodes, the recruiters aren’t all that useful because they’re not very choosy about who they connect with. OK, maybe I’m stretching the analogy by comparing Bubbles to a recruiter, so I’ll drop it now. The general principle is that, if you’re connected to more than a couple of recruiters, searching LinkedIn will turn up more and more people who are second degree contacts, but that you only know through recruiters. The value of someone being a second degree contact slowly declines, because when a recruiter is the common contact you learn nothing more meaningful than that you both once looked for a job, or once tried to hire people. It’s like sharing a mild dislike of rain – common ground, yes, but not very meaningful. This is what I mean by “network pollution”. The value or interestingness of the network is dropping because of recruiters and other “super-nodes” who are turning nearly everybody into your second degree contacts. LinkedIn isn’t the only service susceptible to this kind of network pollution. Twitter will sometimes recommend another user to you because you have a “follow” in common. And if that “follow” is, say, your best friend, that’s good grounds for a recommendation. But if the common follow is Stephen Fry, Barack Obama, or any other celebrity account with millions of followers, that’s pretty useless. If Last.fm recommended someone to you because you both listened to the Beatles, that would be pretty useless too (which is why music recommendation algorithms are hard to get right). All social networks have to deal with problems like this where “super-nodes” undermine the value of recommendations based on shared connections. And for now the best kind of advise from me: start reading more tips from professionals on problem you are trying to solve. As commentators use their blogs for increasingly journalistic content, the conversational aspect of blogging moves on to Twitter. This leads to two problems. First, these conversations become very hard to join mid-stream. If you weren’t following from the beginning, you’ll have a hard time catching up. This is especially true of conversations that involve more than two people, as the “in reply to” functionality is no help. A commment thread on a blog or forum, on the other hand, can be read from the beginning even if you’re coming late to the party, and its linear structure makes it easy to catch up. The second problem is that Twitter loses these discussions after a couple of months, so they’re not available for future reference. This ephemerality is part of Twitter’s appeal for users, but from an archiving point of view it’s definitely a weakness. It’s good to be able to look back on how topics were discussed in their time, but Twitter currently doesn’t let us do that. Maybe Twitter will evolve to address these problems over time. If it doesn’t, however, there could be an opportunity for third party products that do. The future of social commerce… It can tell me who my friends think are cool… Some of my friends are famous deejays. Others just have eclectic musical tastes. The interface is still buggy and slower than molasses in January at the North Pole during a legitimate Ice Age. And that slowness is a big turnoff and an inherent factor of working within iTunes. We donâ€™t love Ping yet, but we donâ€™t hate it, either. With the exception of a huge spike on the day of its release, Ping chatter has been surprisingly low… [sentiment analysis revealed that] iTunes Ping was clearly the most negatively talked about service. …Apple launched Ping without insight from a major part of the industry: the A&Rs and digital marketing teams including services as Indexer to help with this, the people whose job it is to connect artists with fans. Perhaps this accounts for why Ping is so, well, boring. “Working with Facebook as a large company is challenging at this stage, very similar to mid-late-90s Microsoft,” says one Silicon Valley veteran. A lot of the problems with Ping are pretty glaring. You’re only allowed to like three pre-defined genres of music, artists are added to the system manually, and you can only use it within the iTunes application. When you think about it, it seems like it was conceived as the antithesis to everything we’ve learnt about successful social networks in the last five years. But there’s another big problem that I associate with Ping. It’s not a flaw in Ping itself – it’s something that Ping has brought into focus, something more general about the relationship between music and social interaction. In a nutshell, the problem is this: do people really want to know what music everyone else is listening to? Don’t get me wrong – music plays a huge part in my social life. Most of my closest friends are people I got to know through shared musical tastes and activities. Social discovery and enjoyment of music is important to me, and I don’t think people should be separated into isolated bubbles of mutual musical ignorance. But at the same time I don’t think that social discovery & enjoyment of music works well in the larger social networks, which is what Ping aspires to be. Broadcasting one’s musical taste to the world at large doesn’t feel right. I wouldn’t put my Last.fm listening history on my LinkedIn profile, for example, and I don’t think I’d gain much from seeing that information on other people’s profiles. Music is one sphere of life where there is still a strong case for communities of interest, rather than communities of acquaintance. It provides a great example of how most of us partition our lives, similar to the famous “work/life balance”. Religion and politics are other examples. Some relationships, especially professional ones, can work better when these subjects don’t take centre stage. For me at least, music networks are better if they are decoupled from the larger social spaces and allow me to control how much of my musical taste leaks through into them. And this is a basic problem with Ping as I see it. A Facebook-sized, music-based network that uses real names and forces people into a set of pre-defined genre boxes doesn’t really fit with how a lot of people engage with music. Music is a social experience, yes – but it’s a private one too. Back in December 2009, Steve Grove, YouTube’s head of politics and news, gave a sales pitch to a London audience of parliamentary researchers and policy wonks. Drawing on the the 2008 US presidential election as a case study, he encouraged his Westminster audience to place YouTube at the core of their campaigns for the 2010 election. Also at this sales pitch was Rory Cellan-Jones, the BBC’s technology correspondent, who gave a detailed account of it on his blog. Despite the obviously commercial nature of the presentation, Cellan-Jones was fairly unquestioning in his write-up and went as far as suggesting that 2010 would see the UK’s first “YouTube election”. That was then and this is now. As I write, the UK is in political limbo after voters returned a hung parliament and it’s obvious that the election wasn’t a YouTube election at all. But in truth, it was never going to be. YouTube is less of a social tool here than it is in the US, or than Steven Grove seemingly led Cellan-Jones to believe. If any online services were going to play a role here, it would have been Facebook or Twitter, which revolve around interpersonal communication rather than YouTube’s quasi-broadcasting model. But even these services seemed to have little effect on the course of the election. Rory Cellan-Jones has today written a post describing how political parties used the internet in their campaigns – Labour’s “sophisticated use of Google’s AdSense system” and the Tory purchase of ad space on the YouTube home page are among the examples cited. I don’t think these are very inspiring, however. Ultimately the political parties simply bought media space, a part of election campaigning that’s nearly as old as the ballot box itself. It means little that the media space purchased was digital and not tree-based. So social media didn’t play such a central role as some thought it would, and the political parties took a pretty humdrum approach to their digital activities. But how different were things in the world of “old” media? Did it turn out to be more of an X-Factor election than a YouTube election? Traditional media outlets were in triumphant mood after the televised election debates which delivered such a boost for Nick Clegg. Media Week claimed ‘old’ media was reasserting supremacy and even some digital agencies talked about “old media striking back”. The consensus was that the Lib Dem surge, triggered by the first TV debate, was the election’s defining event. This proved that good old top-down broadcasting, not this new-fangled and un-Murdochian internet stuff, continued to shape the opinions of the public. But when election day came round the Lib Dem surge was nowhere to be seen. So it turned out that the effect of the TV debates was actually pretty short-lived and ephemeral. Television, newspapers, YouTube and Facebook have all been vying for the chance to claim it was them wot won it. Rory Cellan-Jones, Media Week, Rupert Murdoch, Steve Grove – none of these people really got it right in the end. Like the election itself, the “old” vs “new” media battle has failed to deliver a conclusive and straightforward result. Google Buzz: a serious new fixture in the social web? Not everyone is all that impressed by Google Buzz so far, but I am. Yes, questions are being raised about privacy – but such questions are a given in any modern discussions about social technology. And some have been quick to point out limitations in terms of interface (“I quickly found the Buzz user interface… visually uninviting“) and features (“Google Buzz: The Missing Features“) – but imperfection is inevitable when a service is only two days old. For what it’s worth, there are things about Buzz I’d like to change. Conversations shouldn’t be treated so much like emails, for example, with “read” and “unread” states – this brings “inbox anxiety” into the equation, something Twitter was wise to discard. And users could benefit from more fine-grained control over privacy settings. Inbox anxiety with Google Buzz - I'm not looking forward to having hundreds of unread "Buzzes"
But I’m happy to put these thoughts to one side: at the moment I’m more interested in the response it’s provoked among my own contacts, many of whom are tech-savvy but not really social web junkies. So far, it’s making me think that Buzz has an appeal for people who are active online but always disliked Twitter and had never heard of Friendfeed. Buzz has definitely been a conversation-starter in a way that Wave wasn’t. In the first few hours, many posts were as you’d expect – “what is this for?”, “can anyone see this post?”, that sort of thing. Today is day two for Buzz, however, and the conversations have started to move away from these meta topics. In fact they’re slowly starting to resemble the sorts of conversations these people have in real life. This is very different from Wave, which prompted a few discussions of the “what’s this all about?” variety before being largely abandoned even by early adopter types like myself. Obviously this might happen with Buzz as well – as I said above, today is only day two – but the acceptance trajectory so far seems very different. For example, the risk of being flooded with too much Buzz data seems much greater than that of Buzz falling into disuse. In many ways I’m tempted to think that Wave has been a kind of public beta for Buzz. MG Seigler at TechCrunch is thinking along similar lines in this post, If Google Wave Is The Future, Google Buzz Is The Present. Buzz certainly explains why Wave had no Gmail integration, something I wondered about at the time. Once again, it’s early days with Buzz. But my own anecdotal experiences so far make me suspect that – despite the contrary opinions of various mavens and competitors – it’s going to be a fixture in the social media landscape for some time to come. …if you find that very negative results at search engines show up following queries for your brand, products, services, you should evaluate if you’re doing enough PR in the social media space to counter it. This statement suggests that if a company’s customers are unhappy with its products or services the best thing to do is to spend money on social media PR. But doesn’t this miss the point somewhat? I’d suggest an alternative method for companies whose customers dislike their products and services: “improve your products and services”. If you do that, the conversations your customers have about you online will take a turn for the better. That’s not to say that companies shouldn’t take part in these conversations. I just think that approaching social media as another PR channel is missing the point of that medium.